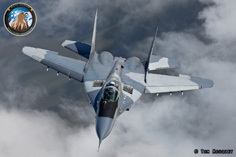 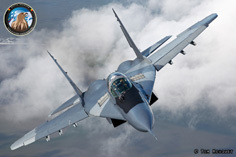 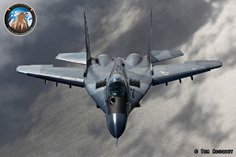 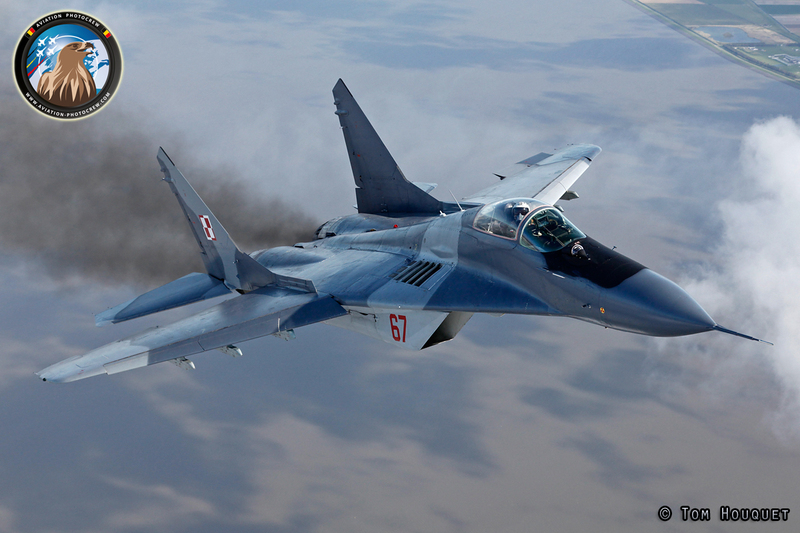 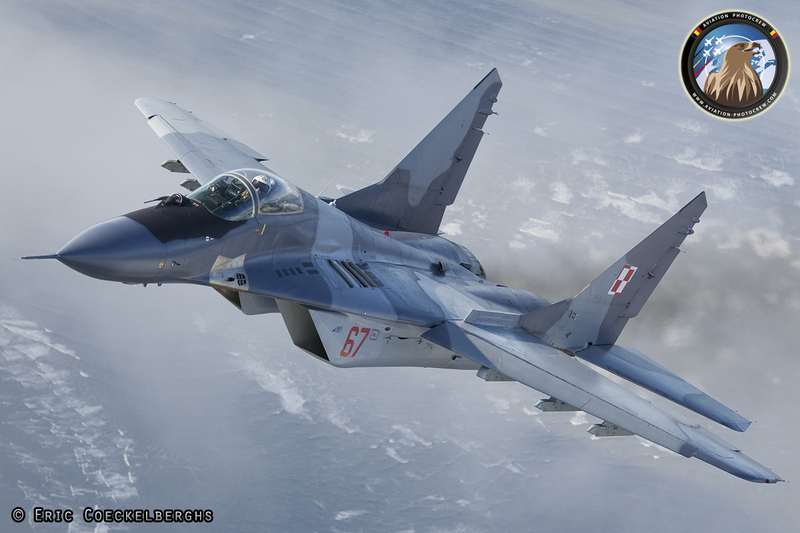 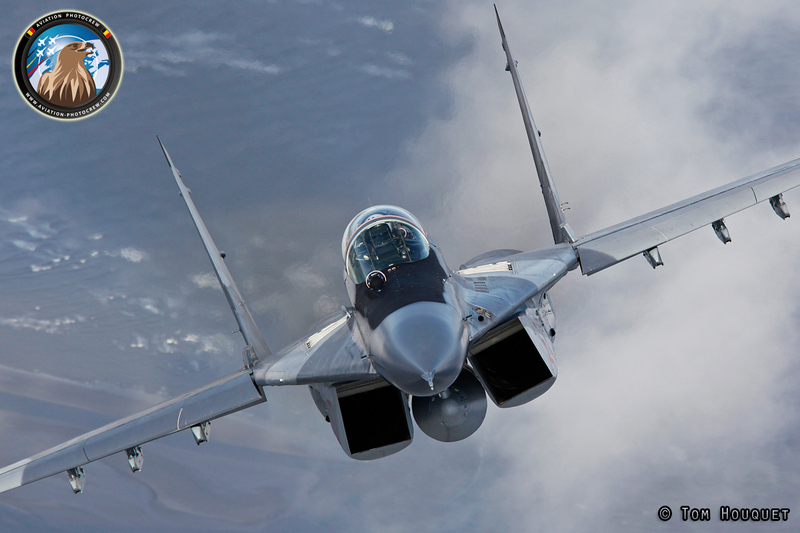 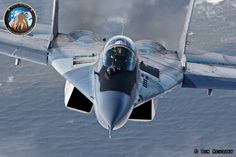 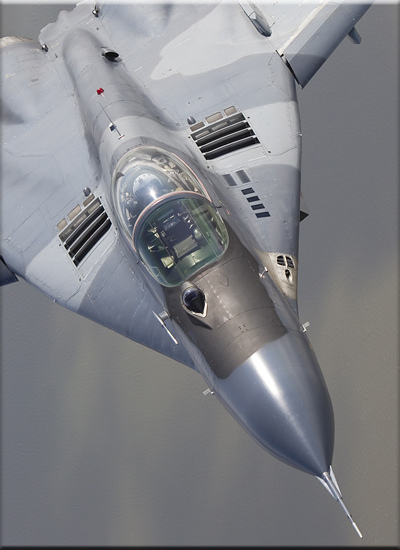 The Mig 29 Fulcrum is by many aviation fans one of the most beautiful fighters flying around. 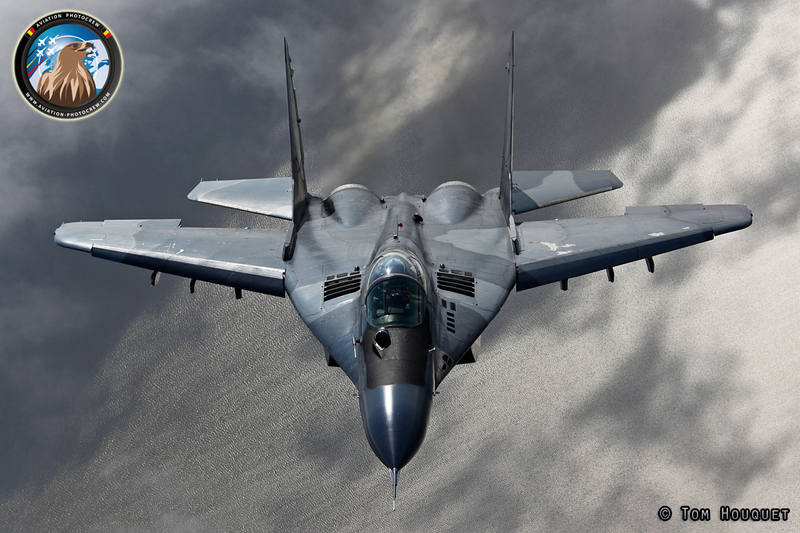 It was off course high on our wish list to photograph this fantastic aircraft air-to-air. 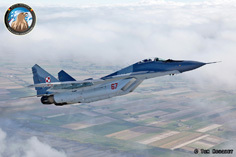 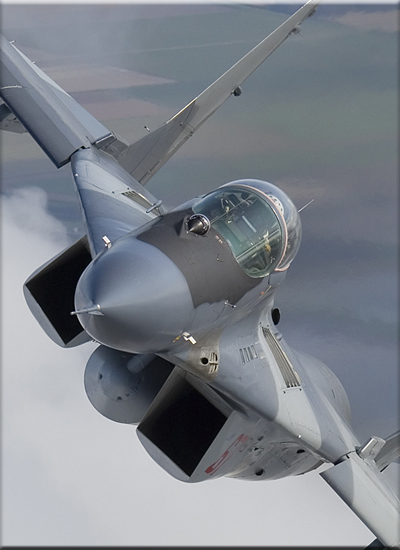 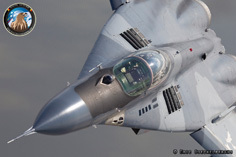 The Polish Air Force is the biggest operator of the aircraft in Europe and luckily they can sometimes be seen at foreign airshows around Europe. 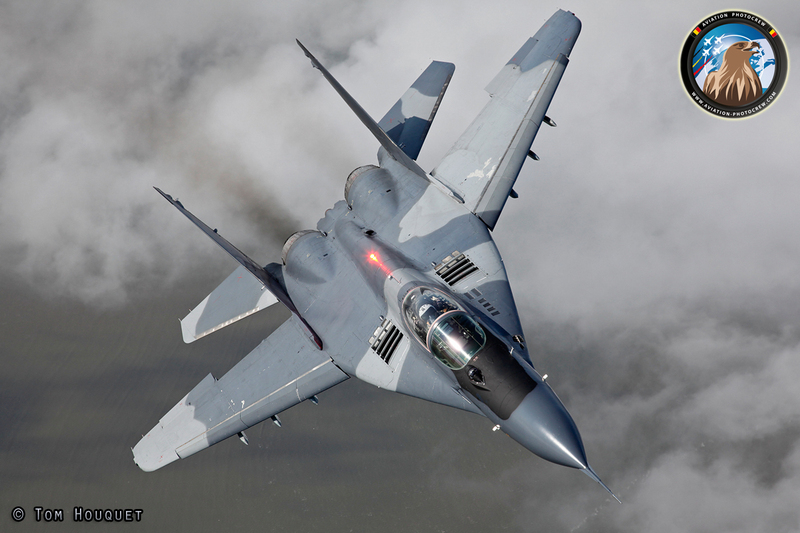 One of the airshows they visited was the 2011 Leeuwarden Open Door in The Netherlands, which was for us a great opportunity to photograph the mighty Mig 29 behind the Skyvan photoship. 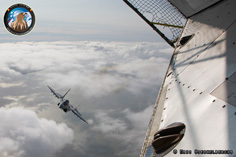 The plan was to fly the Skyvan from the Texel Island in the Wadden Sea to the Northern part of The Netherlands to have a short join up before the Mig would fly further to Leeuwarden Air Base. The first flight was cancelled in-flight due to some delays in Poland, but luckily we could have a second try later in the afternoon which was a great success. 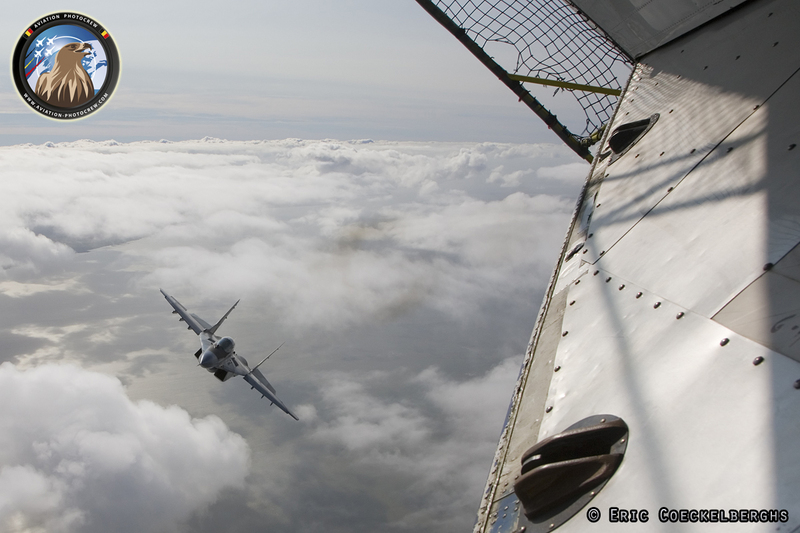 After flying the Skyvan almost up to the German border we were delighted to suddenly see a small dot in the distance with some black smoke trailing behind it. 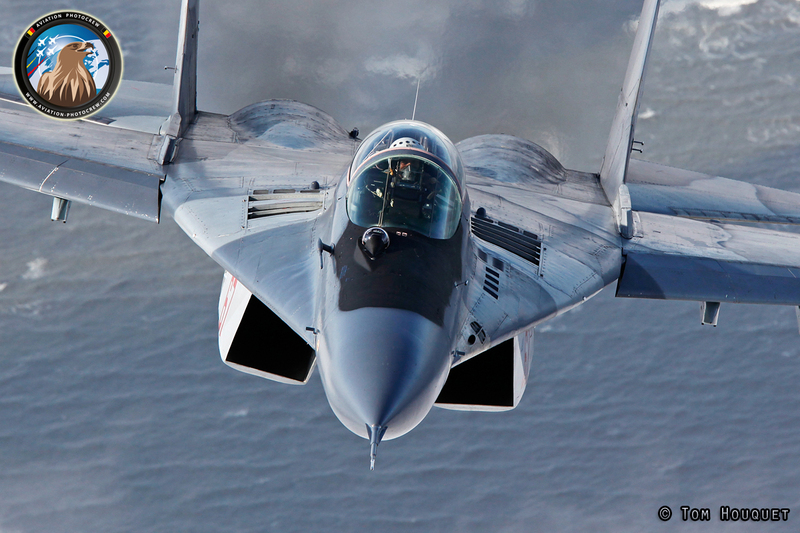 What a great sight it was to see the Mig 29 joining up over a great background of the Wadden Islands. 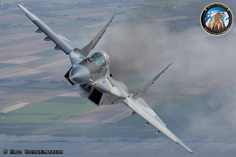 The pilot of the Mig 29 “Iceman” did a great job in giving many photographers a dream to come through. 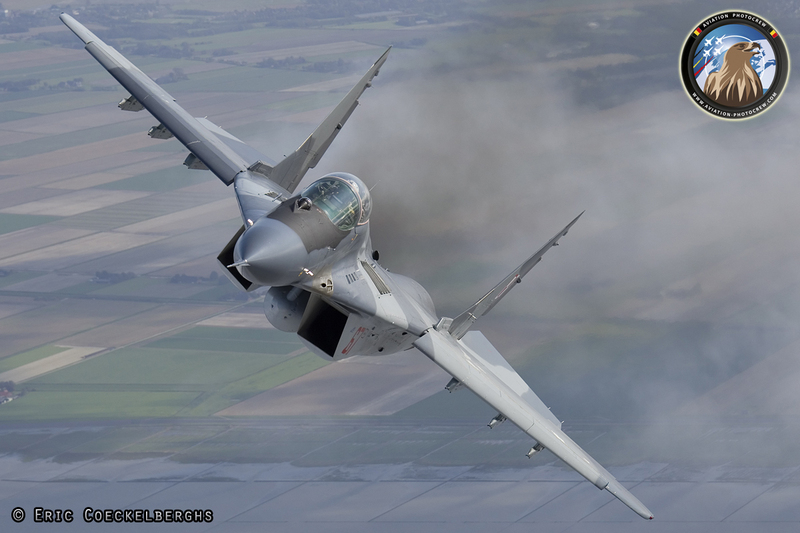 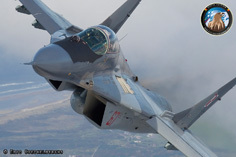 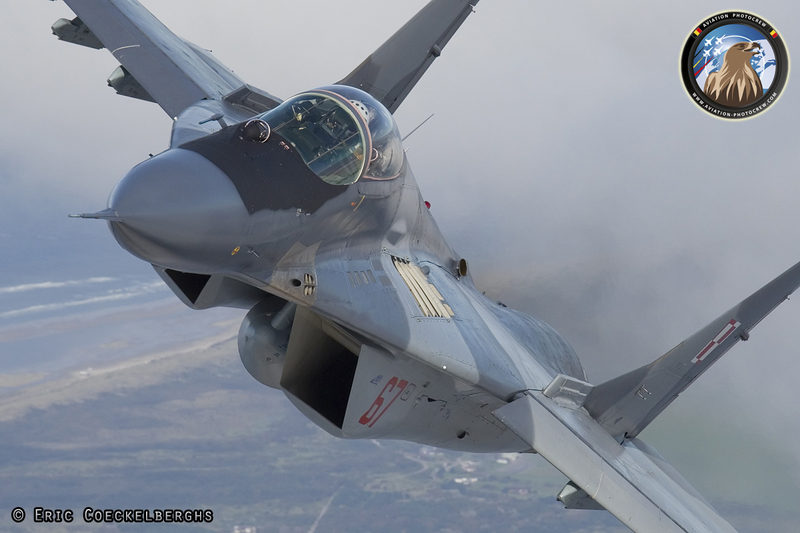 During the short join-up we were able to photograph the Fulcrum from all sights, everything was perfect, the flying, the weather and the background which resulted in a great variety of unique photographs. 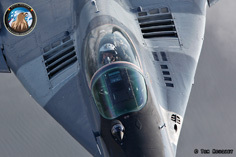 The streams of black smoke coming out of the two engines when adjusting the power level really adds an extra touch to the images. 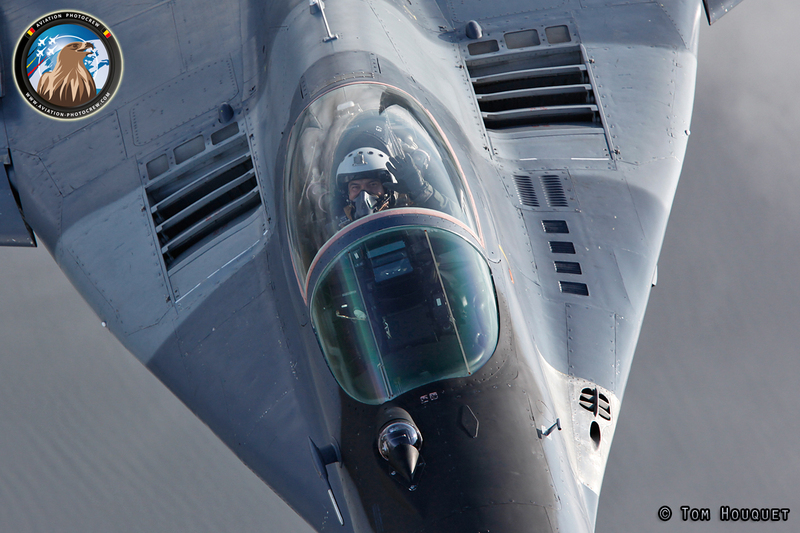 As a salute the pilot climbed away to our left side giving the photographers a unique feeling of the raw power of the Mig 29. Hereby we would like to thank the organisation of the Leeuwarden Open Days and foremost the Skyvan and Mig pilots for their great flying skills resulting in these extraordinary pictures!